But I had to carve out the time to learn to record, edit and deliver it in a really high-value way. And I had to do this between…you know…producing a PBS TV show and being a mom. Ha! Well, it took me a bit of time to learn all the equipment and pull it all together. But I am very excited to say that I’ve done it! 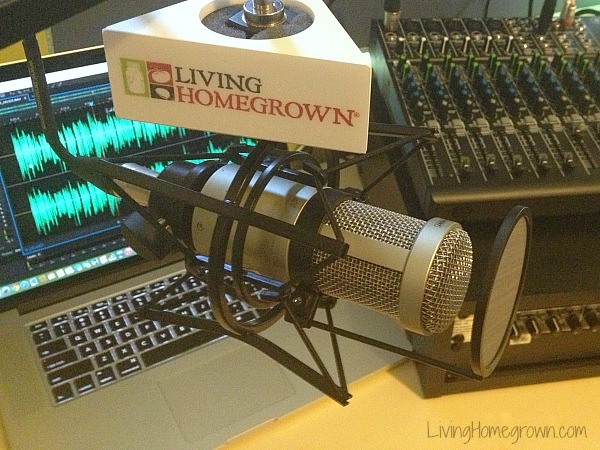 This podcast is a continuation of our conversation here on the blog. This is our chance to up our game! 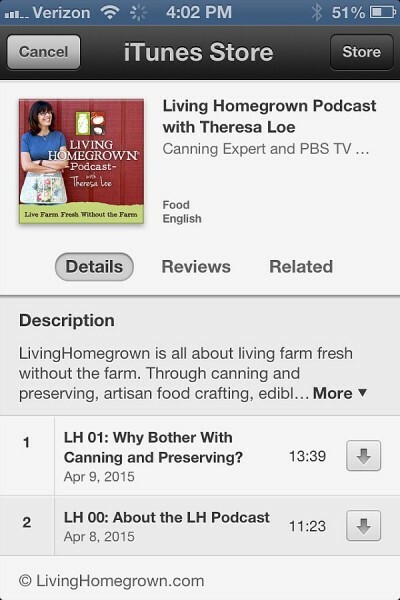 I get tons of canning/homesteading questions here and on our TV show. So, half of this podcast series will be dedicated to Q & A episodes where I answer YOUR questions. These will be shorter (10-15 min) episodes. Have a question you’d like answered? Head over to this Ask Theresa page and let me know. 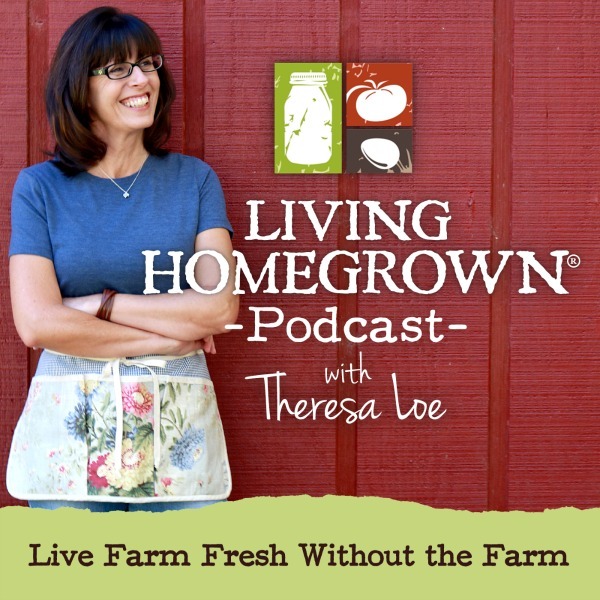 Through my work, I meet some really cool experts in the DIY Food and Homesteading worlds. So, the other half of this podcast series will be interviews with them! They have so many great ideas, tips and information to share. I think you will love hearing from them as much as I do. 3) Take me with you! The best thing about this podcast is that when you are gardening, cooking, driving, or even working out, you can take me with you. I fit right in your pocket – inside your phone. There will be show notes for each episode with links that let you dig a little deeper on topics. I know some of you will want to read or skim the episodes as text files. So, there will be full transcripts available for you within the show notes. Sometimes I have bloopers. (Hey, nobody’s perfect!) When I do, I save them for you. Look for bloopers at the very end of episodes (after the music outro). I don’t have them on every episode, but #01 has a good one. Ha! New episodes with show notes will be posted in the new podcast section of this site every Friday. Just click the “podcast” tab at the top of the page. But it is even better to subscribe in iTunes so you don’t miss anything. I launched on iTunes 4/10/15 with an episode every Friday. 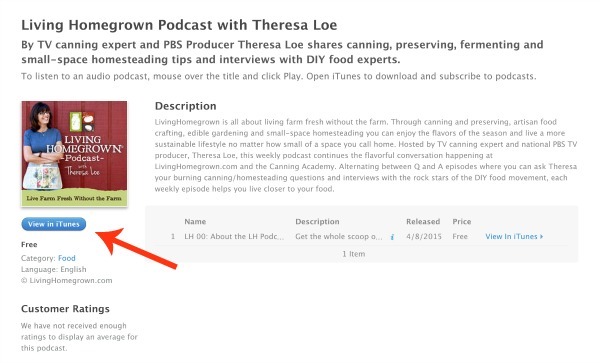 Just subscribe and all the latest episodes will show up in your podcast feed. I realize that podcasting may not be familiar to you. But I hope you give it a try. If you don’t want to deal with iTunes, you can always just listen to the podcasts directly here on my website or download them. You can go here for the full listing of the latest episodes. Enjoy! And thanks for listening! I drive an hour to work each way so podcasts are a godsend for me. I’m so excited to listen! Is it available for Android? Yes, it is available for Android! There are a couple of ways to get it on your phone. Here is a good article explaining the options and an app recommendation you can use. I am sure there are other apps, but this should get you up and running. Thanks for the reply. I should have worded my questions differently! I have a Podcast app that I’ve used for years, but I cant seem to find it to subscribe in the Android store. Are you making it available for download there as well as the ITunes store? Absolutely Carol! But your note made me see that my download button has disappeared on the posts. I will work on that tomorrow and see if I can get it back up for you. Then you should be all set. You can download from my site. Stand by for the fix. Yeah! I’m so excited. Living in the boonies we have long drives to where ever we want to go. Audio books are a must but now we can listen to your podcasts. So excited. My boys will like it too since they sometimes help me with cooking and canning. Whoot! That is great. Thanks. Thank you so very much for telling me Audrey!